Having a green lush lawn isn’t easy. It takes time, patience and a good knowledge of what your lawn needs or is lacking. We pride ourselves at Bohonyi Landscaping as experts on lawns. We give all new customers a free lawn analysis. This consists of a walk through of your lawn, a talk or over view of your lawn season lawn treatments, a soil sample and a personalized lawn treatment plan so your lawn will be greener, fuller and lusher than your neighbors! Growing grass or maintaining it, isn’t as easy as you think. The weather and climate play a major role in how your lawn looks. The same treatment program won’t work or be idealistic for one homeowner to another. Soil, sunlight, trees, etc. 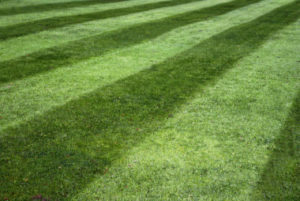 are all factors that will determine the quality of your lawn. The biggest issue these last couple years is the wet, humid summers we’ve been having. The weather has been changing these last few years and March, has been one of the snowiest months. With that said, we have been changing our fertilizer and lawn treatment programs to compensate for that. We are now doing our first treatment in April, instead of March since the weather is warmer in April, the grass will NOT be dormant so the absorption rate will be much higher. We are also adding more potassium and potash to our programs which help the lawn bounce back from a drought. Fungus has been a huge issue the last few years because of the high humidity and moisture. If you don’t know what fungus is, then i’m sure you’ve seen those brown patches of dead grass in your lawn and couldn’t figure out what happened. Fungus especially brown spot and summer patch has been getting worse as the summers have become more humid. Hire a company that cares about not only your lawn but your family. We try to use as many organic products as we can so we are giving back to the environment and also applying products around your home that is safe for your family and pets. We are constantly changing our program to adapt to our ever changing climate. We are not like our big competitors, we care! Which is why the owner of Bohonyi Landscaping does all lawn applications. Call us today to get your free lawn analysis and see what we can do to get your lawn back in shape!